Ivy can be grown indoors and outdoors. It can be sculpted into topiaries small enough to fit on a tabletop, or grown into huge swags that drape across an entire room. 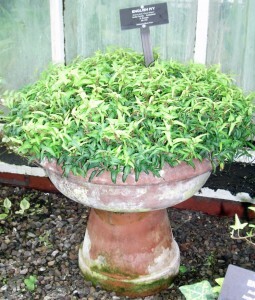 Ivy is lovely by itself in a pot, but it can also be used in window boxes and flower arrangements. An ivy plant can live 100 years or longer. An adult ivy becomes a tree and gets flowers and fruit. The largest public ivy collection in the world– more than 500 cultivars– is right here in Western New York at Buffalo and Erie County Botanical Gardens. A huge sampling of the collection, about 400 varieties, will be displayed during the Victorian Week and Ivy Show from Saturday, Sept. 25 to Sunday, Oct. 3 at the Botanical Gardens, 2655 South Park Ave., Buffalo. The show is brought to you in part by the Western New York Ivy Society. Admission is adults, $8; seniors, $7; students 13+ with ID, $7; children 3-12, $4, and children under 3 and members, free. The week will be kicked off with the Gala at Gardens fundraiser from 7 to 10 p.m. Saturday, Sept. 25. Tickets are $100. The week will conclude with a Victorian Tea from 11 a.m. to 1 p.m. Sunday, Oct. 3. This wonderful full English tea experience includes Victorian history, a presentation on ivies and tussie mussies and a light lunch of finger sandwiches, scones, fruits, dessert and, of course, a choice of teas. The Western New York Ivy Society will provide their expertise. Victorian hats are encouraged. Tickets are $20 for members of the botanical gardens and $22 for nonmembers. Pre-registration is required. Purchase tickets online or call (716) 827-1584. Ivy was a plant that appealed to women in Victorian England because it could tolerate massive changes in temperature, explained Lee Schreiner, a member of the Western New York Ivy Society. “It might be 85 or 90 degrees by the fireplace in the evening, and by morning your inkwell would be freezing,” she said. Ivy also allowed the ladies to create ornate topiaries inside their homes that duplicated the ones they had in their gardens. Creating a topiary can take patience. The spiral topiary above left takes at least two to three years to grow. 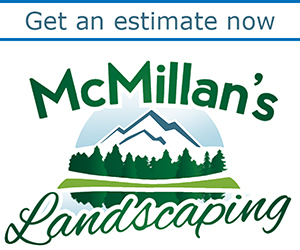 A simpler topiary is the one above right, which a Victorian woman would typically place on a pedestal stand at her entranceway or in her foyer. The topiary at left is made from one plant, not two. It looks as though the column is wrapped in raffia, but it’s actually ivy stems. Ivy from the base was allowed to grow long and was wrapped carefully around the supporting column. A few leaves were clipped off, and the ends allowed to grow. The ends are anchored in the globe at top. Over a period of time, all the leaves on the supporting column were clipped off, producing the desired look. 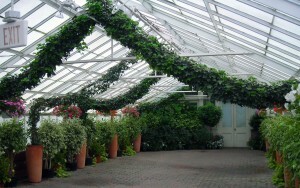 At right, massive ivy arches decorate a room at the Botanical Gardens where weddings are often held. Other swags decorate the fountain in the photo at the beginning of this story. 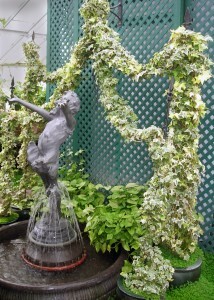 “Isn’t it beautiful?” said Sonia Falkowski, another member of the Western New York Ivy Society. 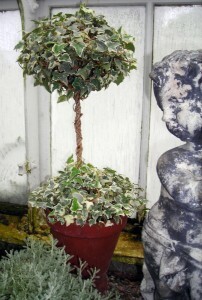 It’s something you could duplicate on your patio with outdoor ivy. “It’s just four little pots,” she pointed out. If you would like to join the Ivy Society, or if you would like more information about ivy, you can stop by and talk with members at the Botanical Gardens from 10 a.m. to noon every Thursday. There’s so much to tell you about the ivy collection at the Botanical Gardens, we’ll add more in a future issue. Hospital food gets zest with herb garden on roof of Kenmore MercyWhat is a tussy mussy? Whenever anyone wants to know about the availability of a particular plant, I always suggest they contact the venue directly. A garden center or the Botanical Gardens might have something in stock this week, but be out of it the next week. Go here for the contact information for the Botanical Gardens.